Enko-football: Qatar World Cup 2022 - The final decision for two days! 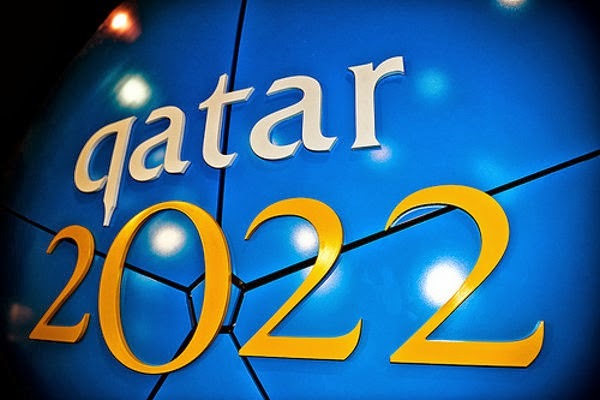 Qatar World Cup 2022 - The final decision for two days! The Steering Committee of the World Football Federation (FIFA) has started today a two-day meeting at which will decide whether it will be changed dates for the World Cup 2022nd in Qatar. It is planned that the World Cup in Qatar 2022th year held in the summer, in June and July, but many are looking to due to high temperatures in Qatar change dates and the competition to be held in the winter. FIFA president Sep Blater supported the demands of the changed terms, but against that are numerous European countries and the United States. Leaders of Asian and African confederation said they have not yet formally talked to Blater on the proposed change date. "We have not had this kind of discussion in Africa. We are waiting an explanation FIFA leader," said FIFA board member Han Abo Rida from Egypt. Total disgrace, is there only Blatter on the planet that fails to realise it is quite warm in Qatar over the summer months. The voting process should begin again if the competition does not take place under the criteria it was originally voted for. If enough countries, appose and threaten to boycott the 2022 WC if it becomes a winter tournament, it may do the footballing community in general a major favour by highlighting the inadequacy of Blatter and hopefully FIFA. FIFA are a embarrassment,cant remember anything they have done for years that truly resonates with the professionals in football.